Makes perfect sense: Rolling Stone writer Evan Wright was embedded with the Marines’ First Recon Battalion, publishing his insider account of the marines’ tip-of-the-spear Iraq invasion in 2003. Ambitious, demanding and constantly absorbing, Simon and Burns’ seven-part HBO adap wastes no time targeting the alpha-male boredom and bravado of parched pre-combat. But as First Recon heads for Baghdad, jarhead weariness rapidly shades into a brilliant study of the chaos, incompetence and emotion of conflict. 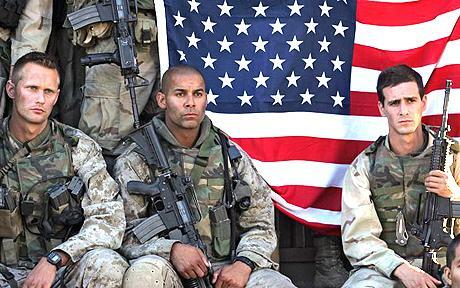 Powered by fast, funny dialogue, a superb acting ensemble and a sandstorm of detail, Generation Kill’s drama proves a gripping straddle of deft cinematic style and compulsive docu-reality. As a grunt’s-eye view of history’s most documented war, it doesn’t get better. Packed audio commentaries with Simon, Burns and directors Susanna White and Simon Cellan-Jones are strapped to each episode, along with mission maps and an fascinating interview with Wright and some of the real First Recon marines.